There are some essential oils that you absolutely need in your home. If you are someone who loves to come up with their own aromatherapy mixes, then you should learn about the oils that you absolutely need. 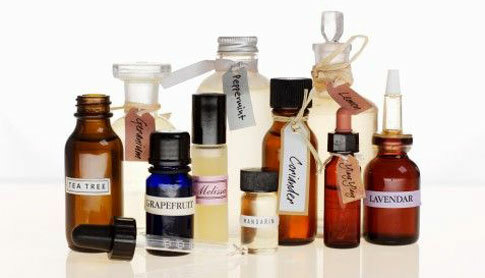 If you will explore the world of aromatherapy, you will find that there is a long list of essential oils. If you will try to learn each one, it will not only be confusing but it will also be mentally draining. This list will help you weed out the oils that you need. Although the other oils are still worth knowing, these are the oils that you absolutely need to know. This is a nice little guide especially for people who are just starting out in the practice of using essential oils. But before I introduce you to the list of oils, I want you to know that there are different types of aromatherapy oils. With this, I highly suggest to never settle unless they are therapeutic grade essential oils. Therapeutic grade oils are so natural that they can even be ingested. With this, it is always better to only purchase your oils from a licensed aromatherapist. This will ensure that you are only getting high quality oils. With that said, here is a list of essential oils that you must have. Cypress is natural oil made from cypress trees. It has the capability to stop bleeding which can happen from wounds or nosebleeds. Having cypress at your home will help you have a ready aid in case an accident happens. After all, we cannot ensure that we do not get wounded. This also applies to our kids and other members of our family. Having cypress oil gives you that peace of mind that you have a ready blood stopper. This is a nice oil which you can use to treat fevers and stomachaches. Fevers happen all the time even in little children. Applying a few drops on their spine will do the trick in case of a fever. On the other hand, if a stomachache occurs because of the food that they may have eaten, then this can also be mixed with water in ingested. It can do wonders for the stomach. If you need a quick mind boost or you just need to treat certain conditions like headaches and fevers, then this is a handy oil that you should have at your home. It is also able to help you if you are on a diet or you are planning to quit on smoking. All you need to do is put a few drops on water and it can be ingested. You will be amazed on how your appetite is significantly decreased by this oil. This is a nice treatment for burns and this includes sunburns. If you find yourself constantly working in the kitchen, then you will love what this does. It can remove burns almost instantly as if it is never there. What people also love about lavender is its nice, flowery scent.